How to Improve GPS Signal of Android Device ? Home android how to How to Improve GPS Signal of Android Device ? Our Smartphones have GPS sensor by using it our device can operate different navigational app as like Google Map. But, sometimes we can see problems in GPS signal. Primarily how we can Improve GPS Signal about that methods I have described bellow. 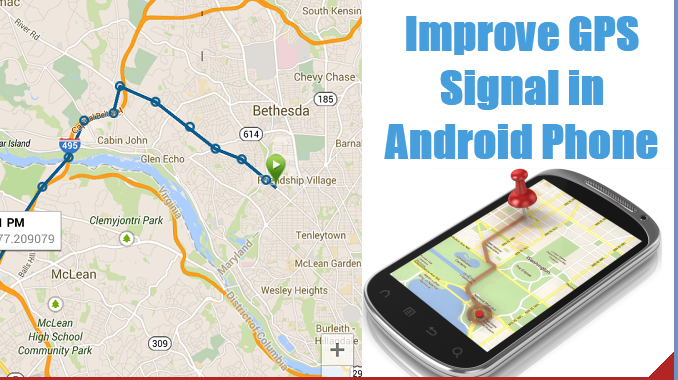 I think it will help a lot to improve the signal of your GPS on android device. 1. High Accuracy Mode: Use High Accuracy Mode. For getting highest signal of GPS you have to go GPS menu then from there you have to start (ON) High Accuracy Mode. Although, this feature using more power from your battery but for good GPS signal there have no other way without this. 2. Activate GPS Signal: Whenever you need keep activate the GPS Signal. Most of the time we see in our device when using navigational apps if that time we use another app then the GPS gone Offline of your device. This things happens when we keep the power of battery. The next time when we need the signal then it takes time to get the signal. Sometimes this is really disturbing. If you want then You can activate the GPS signal All time When you need it. There have an app name "GPS Connected" You can download it to get help to be connected. 3. GPS Issue: Find out the issue of your GPS. In your device the related problem of GPS can be happened if software and hardware have the problem. For find out the problem of software and hardware which is related to the GPS sensor you can use GPS Essentials App. This app will help you to find the right issue. 4. Refresh GPS Data: In your device for stored unwanted data of GPS that can be cause of GPS problem. At this time only Refreshing GPS Data can be the solution for the problem. For your Refreshing GPS Data from your android device you can use GPS Status & ToolBox App. Which is very helpful and easy to use Software. 5. External GPS Receiver: If above methods doesn't improve your GPS signal and if GPS is very necessary for you then you can use External GPS Receiver. In amazon you will be able to find out External GPS Receiver within $100. I think that will help you without having any problem for life time. If you think this is helpful for you then share it with your friends so that they can get the help. I think it will be very helpful for the professional persons who want it but don't know yet. Thanks for read my article. If you having any problem you can ask question by commenting bellow.